By titch, September 25, 2017 in Tank Equipment and Water problems. Looks like little detritus worms to me They’re harmless. Hi Amy. Have you figured out what the worm's are? How exactly do they get into the tank? Are they as a result of a fly/midge laying eggs? 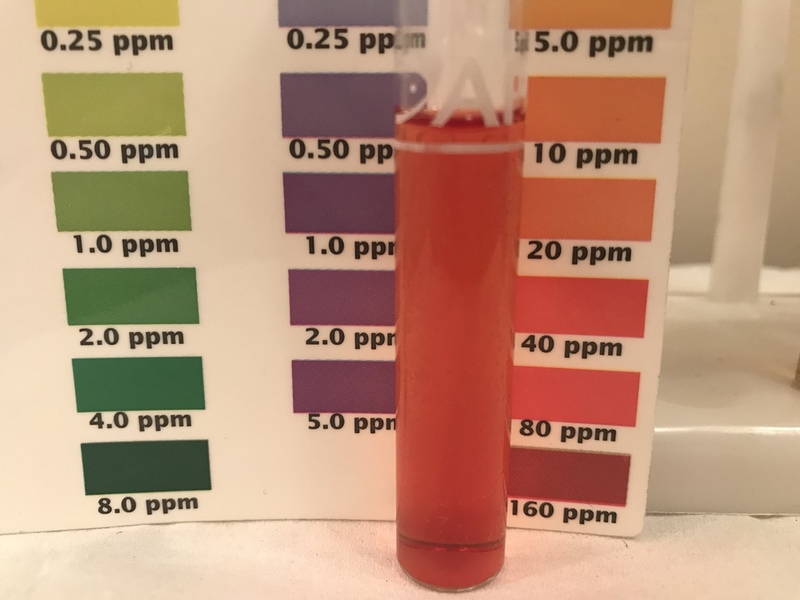 The tank is completely bare (apart from hardware that is - airstones, airline, filter in/outlets) so I was just wondering. 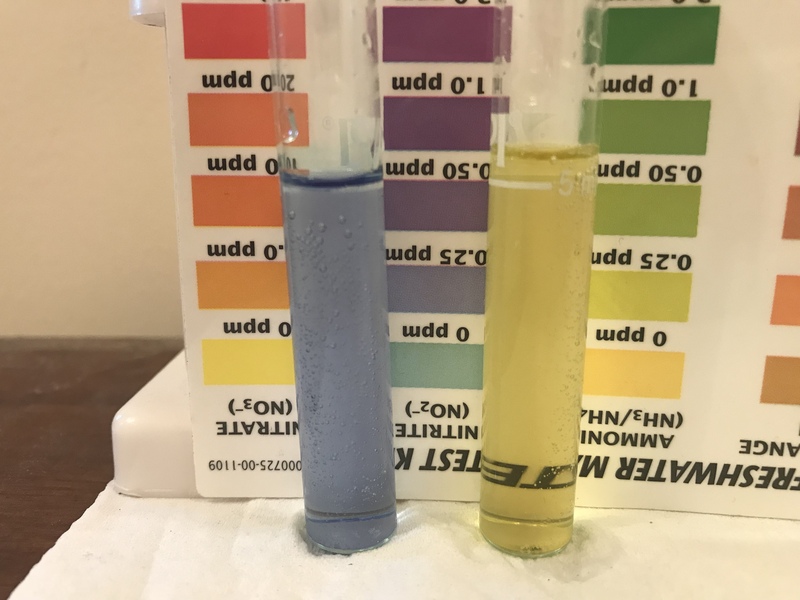 What do you think about the water tests? 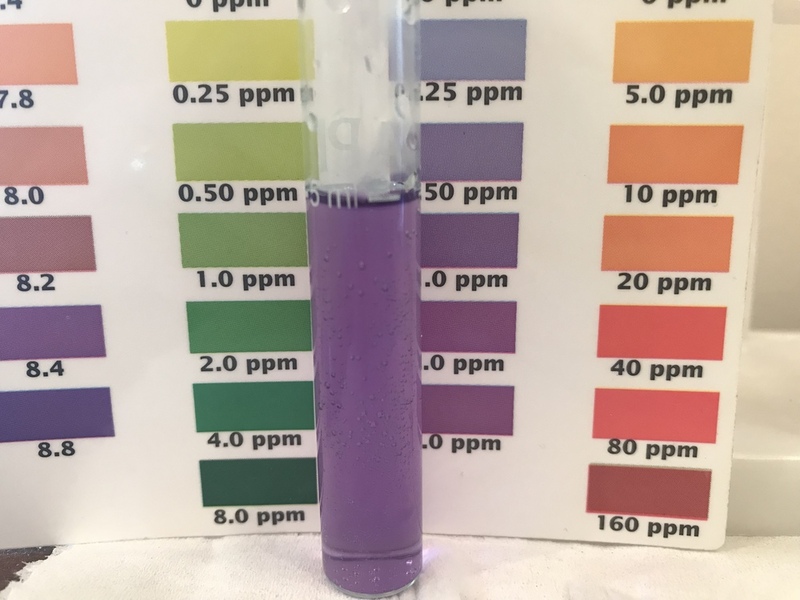 Should I keep off of the ammonia for a bit? It looks really close there. 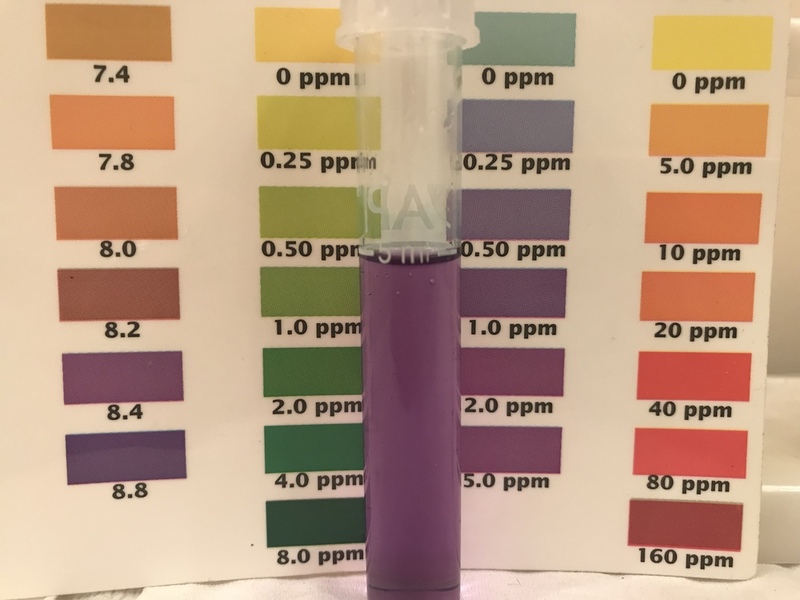 I would go another round of no ammonia, and test it. Really, even though the addition of ammonia still makes the nitrites rocket? 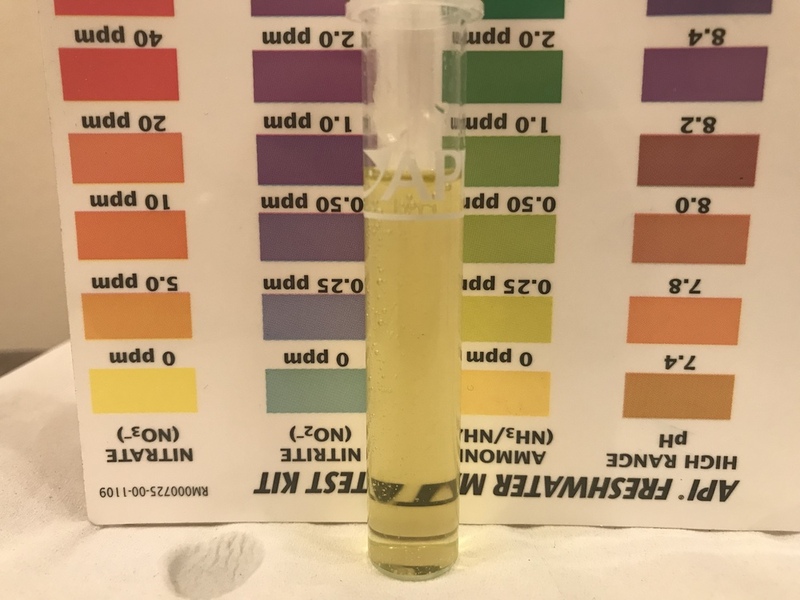 And just to clarify, am I doing a WC tonight regardless of test results or just leave as is (assuming nitrite <2.0)? Well we need to get those guys under control. 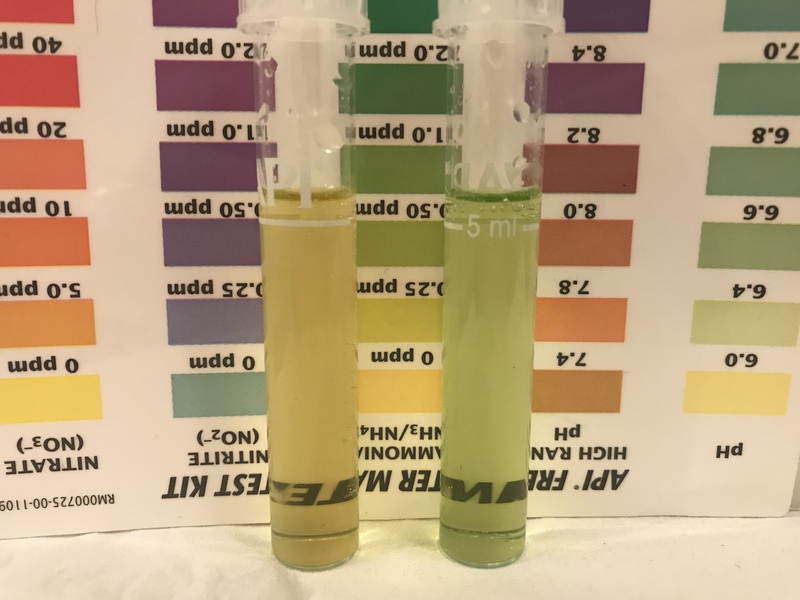 When they go above 2ppms it stalls the cycle. 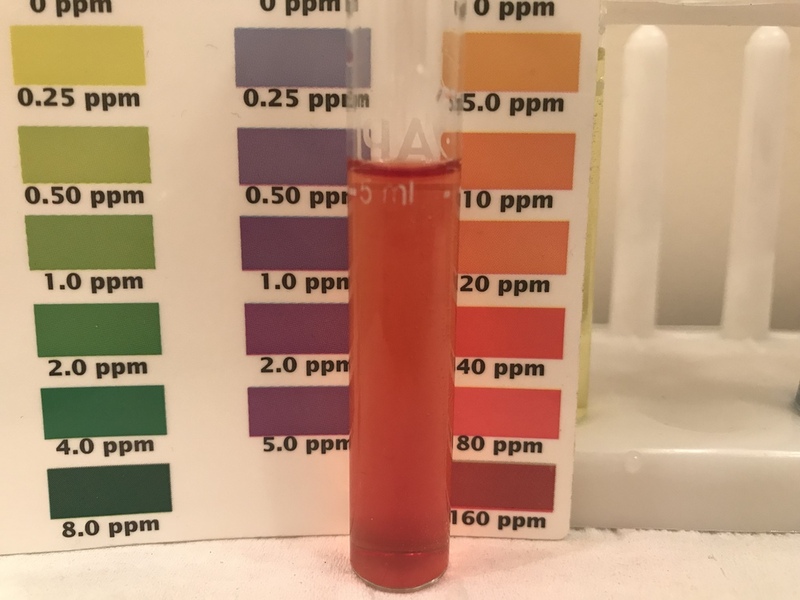 Let me know what I should do to get the nitrites in check. 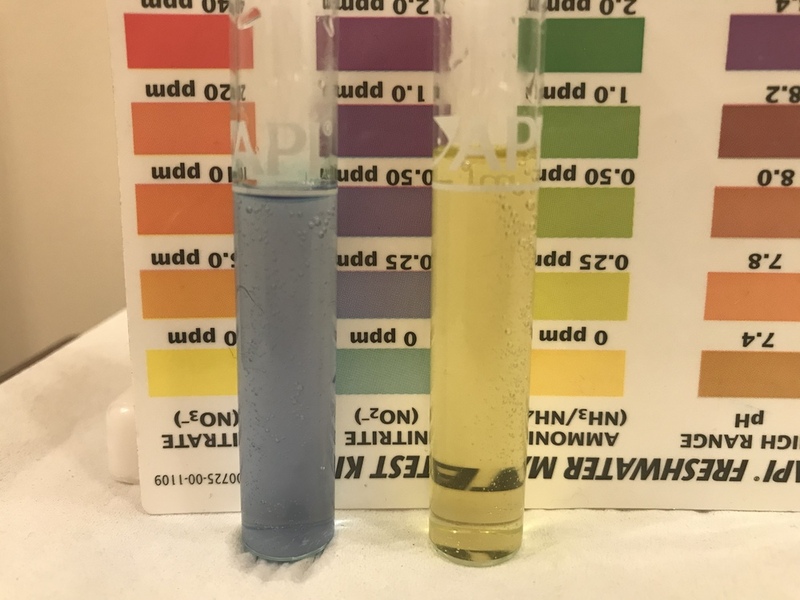 Tonight’s test results. No WC for me!!!! Where should I go from here? 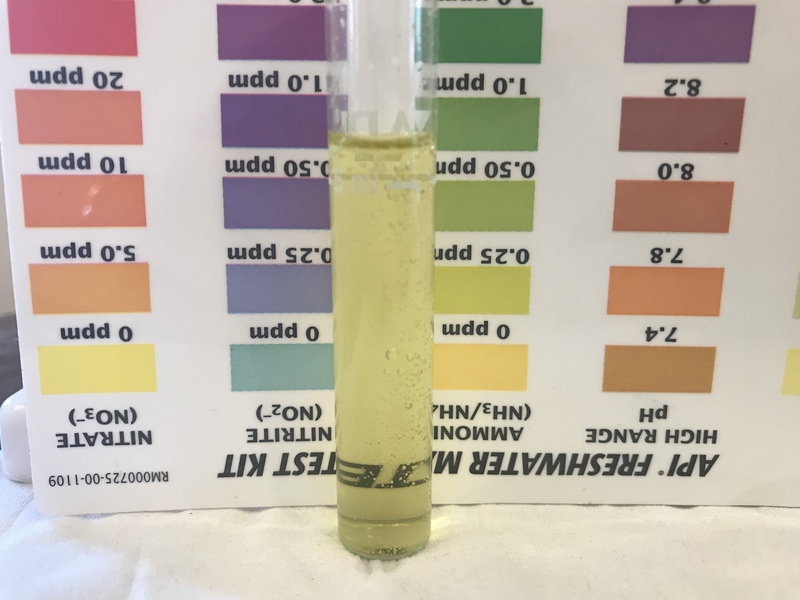 Ammonia or no? 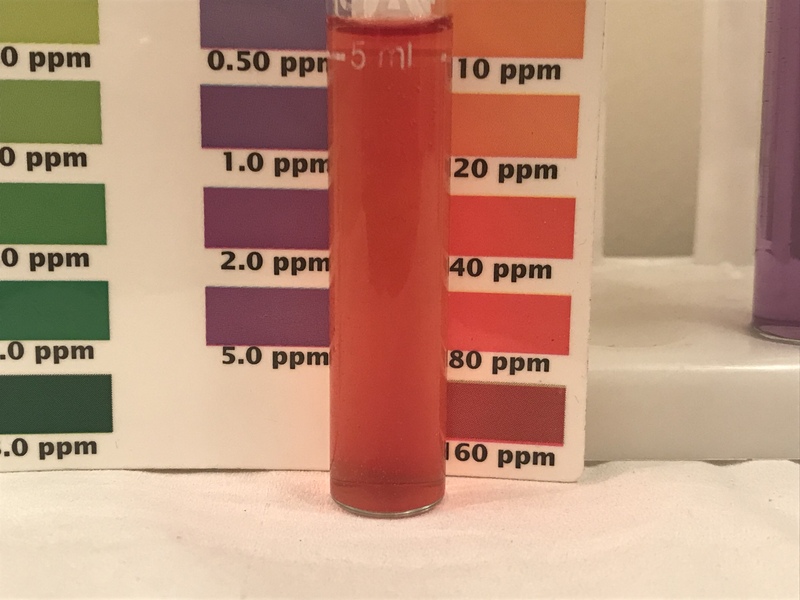 Is there something I can do to get the nitrites under control, or is it a case of they'll do what they do and be gone when they're good & ready? I would add ammonia but not a lot. Shoot between 0.25 and 0.50. The worms didn't mind the nitrite. Gotta feeling Piggy might though. Currently draining the tank ready to refill & dose the ammonia. Pre-WC test below. 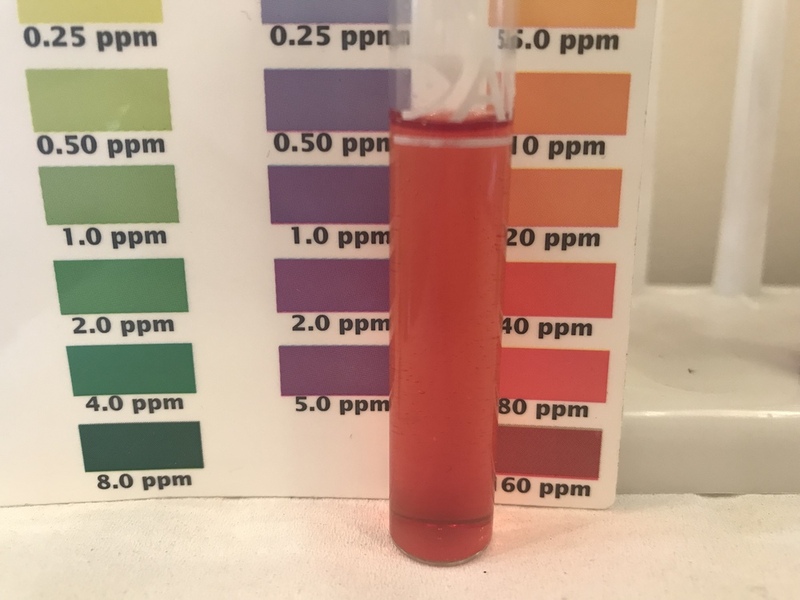 Note the nitrite has been rising steadily even though I haven’t dosed. 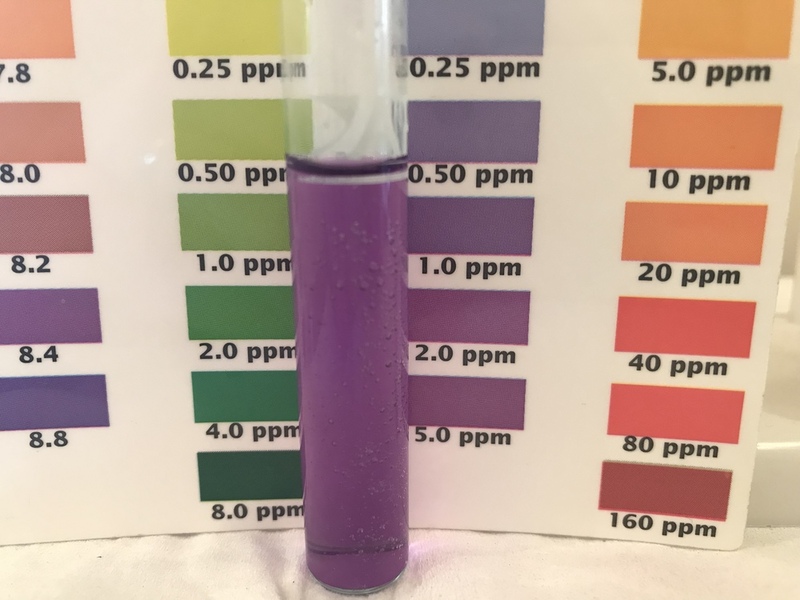 Nitrate too, very slightly. Large WcC done. 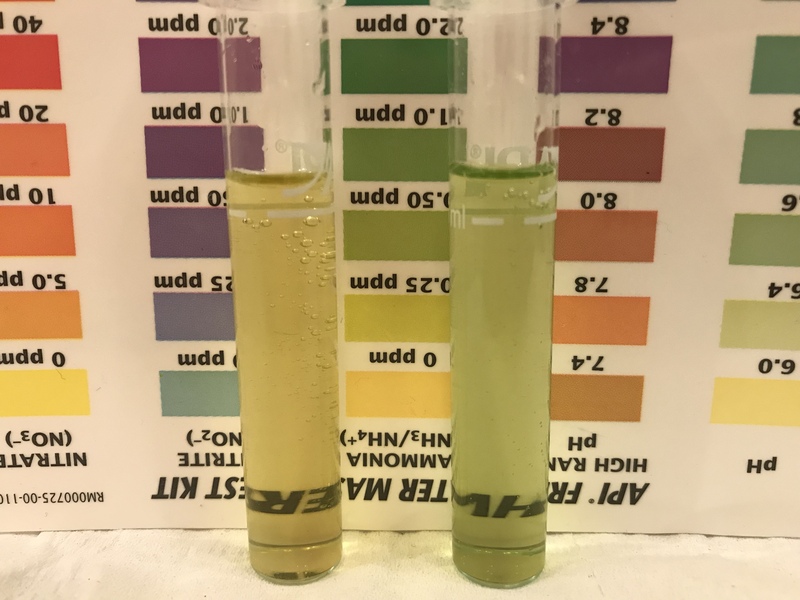 Test results after the WC below along with ammonia comparison before & after dosing. What are you seeing? What’s wrong? Ooooohhh!!!!! That makes more sense then. I was wondering why there was ammonia in that last pic. No, perfect!! Now let's wait and see . . . .
I’ll test in the morning (12 hour mark) & see where we’re at. Would you normally see nitrates rocket off the chart before the cycle completes (i.e. deepest darkest red)? Should I see nitrates increase dramatically before nitrites drop? 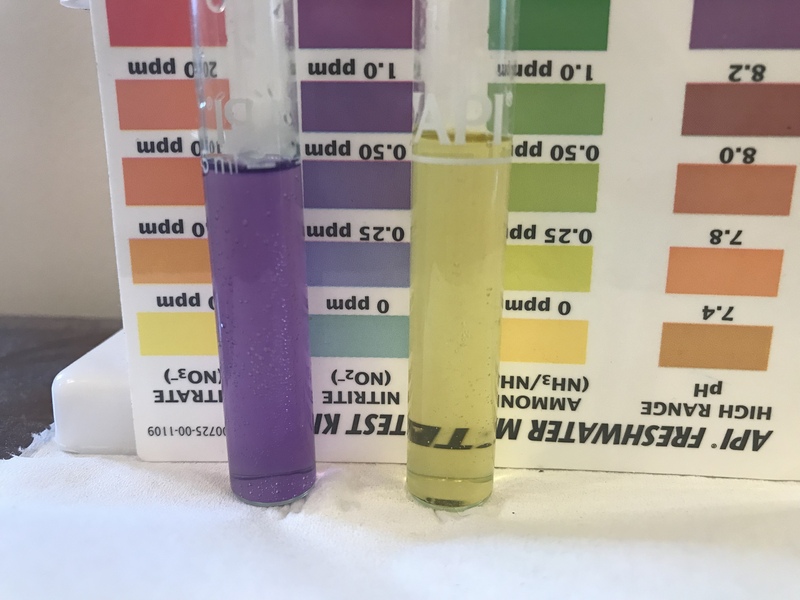 When you have nitrates in the water your using for a water change. Yes Now we need to get those nitrites down. Ok so not quite 12 hours later (I had a lie-in). This is approx 16 hours later. 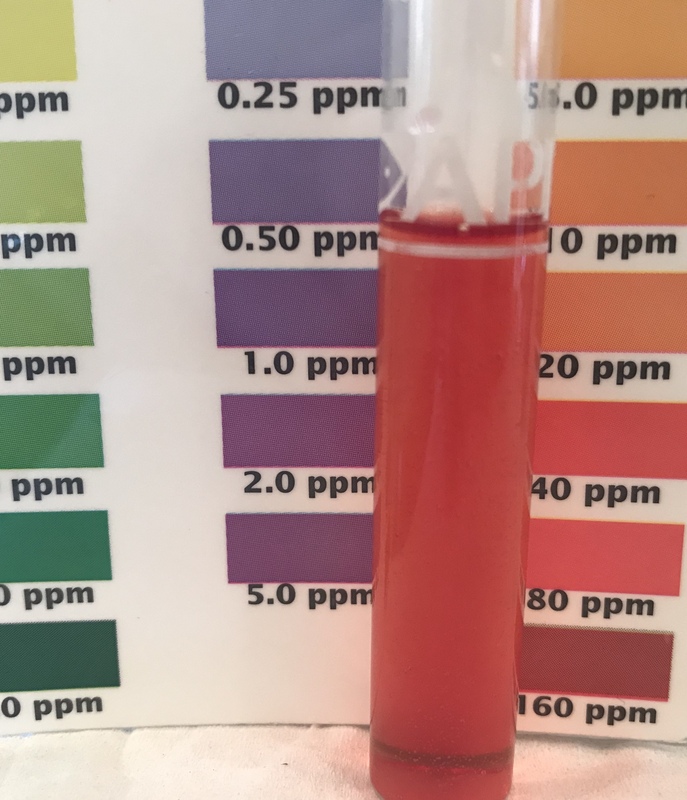 Not too sure on the nitrite, so took 2 pics - one with lower end of chart and another using higher end. Maybe 1.0? 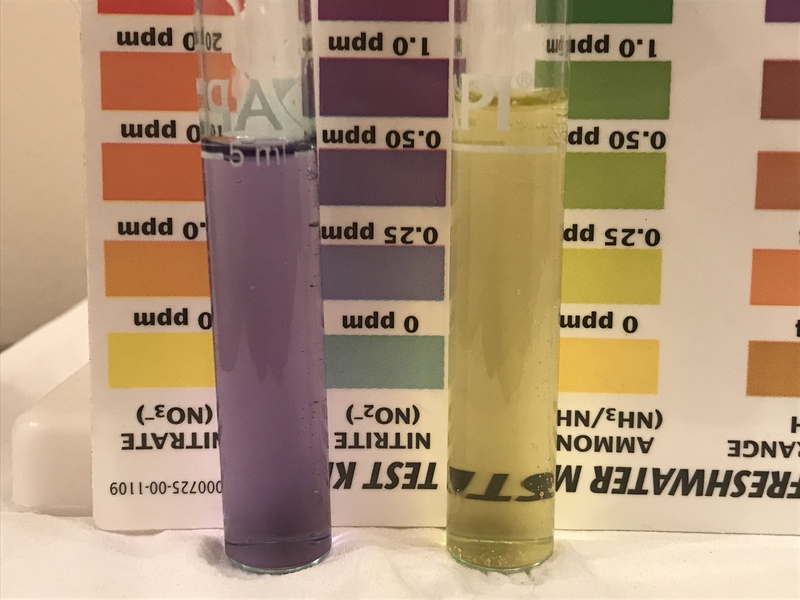 And the ammonia comparison before & after dosing. Aimed for 0.25 again. The ammonia tests look much greener in the photos than in ‘real life’. Sorry to hear Justine has been poorly. Hope she's doing better now. I'm doing OK, I think. The nitrites are still climbing, but not at the rate they were. Managed to get away with not doing a WC on Monday. 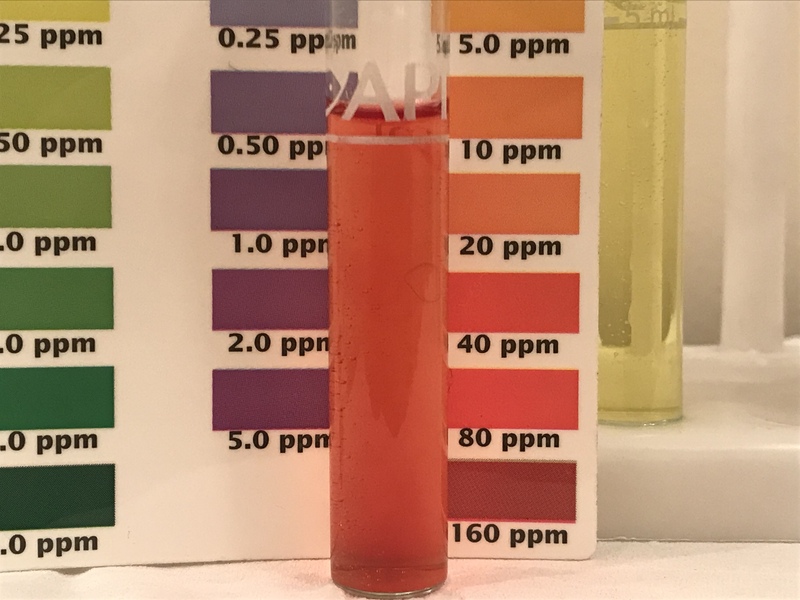 Last night, nitrites were at 2.0, so I did a large WC to bring them down to 0.25 then raised ammonia back up to 0.25 (nitrates were at 80 before WC). Possibly from a food source or substrate, or equipment from a previous tank. They could also be the larva of something else, you’re absolutely right. Just because they look like detritus worms in a picture doesn’t mean they are! Not sure what to do now. I don't believe they've come from equipment used in a previous setup, as everything is either new or been bleached/nuked. There's no substrate (I removed all the sand prior to nuking) and I'm using household ammonia for my cycle, not food. Kinda hoping they're a larva of some kind that's completely harmless, cos if that's not the case, then I'm back to nuking all over again and restarting this (already never-ending) cycle.